This is the second in a series of interviews linked to “Digital Native Strategy and Short-Form Content” — an exclusive white paper prepared for MIP Markets by Ampere Analysis — in which Research Director Guy Bisson speaks to MTGx’s Arnd Benninghoff. Read on for exclusive digital native engagement tips! MTGx is part of international digital entertainment group MTG, with brands spanning TV, radio and online businesses. It is active in digital entertainment esports, digital video networks and online gaming. MTG owns 100% of DreamHack, the organiser of the world’s largest digital festivals and LAN parties. It has also invested in Turtle, the world’s largest esports company and operator of the ESL brand; InnoGames, a leading global online games developer and publisher; and the digital video networks Zoomin.TV, Splay Networks and Engage Sports Media. Guy Bisson: How are you building digital native content into your wider content strategy and why? Arnd Benninghoff: We want to become the leading entertainer for the digital generation. Our digital entertainment strategy is built on three verticals: esports, digital video networks and gaming, which we’ve gathered under our MTGx umbrella. MTG also offers Viaplay, the leading video-streaming service in the Nordic region, and Viafree, a free-TV digital video platform. One reason why we’ve chosen our three MTGx verticals is that there’s a certain overlap with MTG’s traditional broadcasting business in terms of the capabilities required, such as global distribution. But another factor is the way they cover the whole customer journey in a very interesting market – gaming entertainment. Globally, digital natives now spend 107 minutes a day playing games (contrary to what you might expect, it’s actually a fairly even gender split), and the number of people watching others play online is up almost 30% since 2014. Esports, meanwhile, will probably have more viewers than NFL this time next year. In other words, popular culture is increasingly defined by gaming. Through our portfolio companies, MTGx is present in the best parts of this value chain. You can play our games, you can share your own videos or learn from others through our digital video networks – and if you’re really good, you can compete in our esports tournaments. > What’s the key to the creation of successful digital native content? Successful content is relevant content – and quality and engagement are the number one drivers of relevance. MTG’s customers consume, create and share content all day long – from playing a mobile game before getting out of bed, to sharing videos with their followers or streaming a series in the evening. It’s essential that our content, along with our channels and business models, adapts to this lifestyle in order to engage with these customers. This implies that being platform-agnostic and reaching out to people wherever they are is also an essential element in creating a positive experience. In one sense, MTG’s core identity hasn’t changed – we’re in the storytelling business, regardless of whether we see ourselves as a broadcaster or a digital entertainer. But how and where we tell those stories is transforming radically. Our digital video networks Zoomin.TV and Splay Networks generate around two billion online views every month. And we’re now the world’s biggest esports company – our ESL and DreamHack businesses will engage over 250 million fans in 2016. At the same time, we’re acutely aware that behaviours are rarely static. Who knows what consumers will want tomorrow? Transformation therefore has to be a real-time business process, rather than a long-term goal. > What trends do you see around the evolution of distribution of digital native content, as we move from MCNs towards multi-platform strategies? The number one driving factor behind successful video content is community engagement. For influencers to direct audiences to their content, they therefore need to communicate across every platform where their users can be found. So although YouTube will clearly remain a major partner for our digital video networks, these networks are also expanding and diversifying. Splay Networks is building out branded entertainment initiatives to become the leader in influencer marketing in the Nordics. Zoomin is combining its worldwide VJ network with relatable stories around brands, while Engage Sports Media is tapping into new ways of leveraging sports content in a similar way for the digital generation. All three are also focused on creating own and operated content IP through unique formats. In esports, ESL and DreamHack’s content has been focused on the Twitch.tv platform, and Twitch will remain their main distribution partner for some time to come. However, both ESL and DreamHack are also pushing their content to additional sites such as Azubu or Hitbox, and ESL has also integrated their mobile apps into PlayStation and Xbox to reach gamers on a wide range of platforms. > Device and behaviour-wise, how are your target audience consuming digital native content and how does this impact the way content is made? Our audience is full-on mobile – and so are we. Splay Networks, Zoomin.TV, Engage Sports Media, DreamHack and ESL all offer fantastic apps, while InnoGames, our first gaming investment, has more than half of its new user registrations on mobile platforms and is developing some awesome mobile-only titles. From a wider MTG perspective, Viaplay is clearly ideal for mobile, while the Viafree app recently passed one million downloads just three months after launching. We need to make an important clarification here: mobile is not only about younger audiences. They were the early adopters, but adults in the US, for example, will soon be using mobile devices for over three hours a day (and 30% of that time will go to gaming). This underlines the need for a strategy that engages with every audience on every platform. > What trends do you see around digital native content moving to long-form formats and where does this leave short-form as a format? There’s definitely room for a plurality of formats – the success of one approach doesn’t exclude the others. The content ecosystem is absolutely not a zero-sum game. Everybody loves getting hooked on a great series – I know I certainly do! It’s why Viaplay, MTG’s video streaming service, is investing in original content such as ‘Swedish Dicks’, which recently got picked up for global distribution by Hollywood studio Lionsgate. Viaplay has an amazing pipeline for the coming year, including the Nordic noir series ‘Hassel’ with Ola Rapace and the feature film ‘SuperSwede’ about the life of Swedish Formula 1 driver Ronnie Peterson. But short form can look forward to a long future, since it fits in so well with the new consumption patterns I described earlier. There are no guarantees, of course, but checking out esports highlight clips or scrolling through the latest updates from your favourite YouTuber on your mobile while waiting for the bus will probably be a thing for as long as mobiles (and busses) exist. > How important is it to integrate social media into a digital native strategy…is social media merely a promotional tool or a key cog in the creation of original content? It’s very interesting to consider social media in the context of digital video networks, where the lines between original content and influencer marketing are blurring faster than ever before. Creating an engaging campaign is all about credibility, and social media is the primary feedback channel for influencers to understand their audience and stay relevant. This is in addition to its more obvious role in making produced content accessible. Splay Networks has some great examples of this. They recently helped Comviq, a Swedish mobile operator, to engage with young people by creating new video formats featuring influencers who directed parts of their audience to the brand’s outlets. The campaign was hugely successful because Comviq’s brand was integrated into a truly believable travel story that was consistent with the talents’ personas and their usual way of communicating. > How does the greater access to data around behaviour in the digital native space influence the creation of content? Data is great – but information is even better. One way of understanding this distinction is to take some figures, for example, and ask whether you can use them as the basis for a business decision. If the answer is yes, then you’ve just found some information. Let’s take our recent investment InnoGames as an example. InnoGames is a leading global online games developer and publisher with 150 million registered users. We know how many hours its gamers play each day. That’s excellent data, of course. However, it’s perhaps even more useful to look at the individual games and discover that ‘Tribal Wars’ is mainly played by 15-24 year olds, and ‘Elvenar’ attracts players over the age of 35. 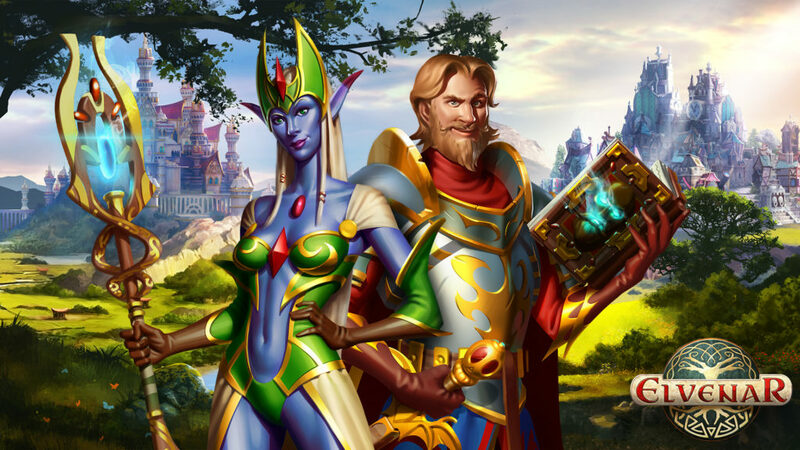 We’ve also established that nearly half of ‘Elvenar’ players are female, that they’re more likely to use game features with an interactive element, and that they make 30 percent more in-game purchases than male players. So InnoGames knows it has a diverse community, and the company’s strategy is shaped according to this information. Its games are free to play – securing a larger target group – and are designed to engage players over long periods of time. The same principle applies to our digital video networks. Data helps in targeting advertisements, but feedback through social channels represents information that helps influencers adapt to their audiences even more effectively. Esports is another example: as a grass-roots digital festival organizer, DreamHack relies on both data and social media to build a deeper understanding of their community. > Where do you see the future of live video platforms (Facebook Live, Periscope etc.) fitting into your content strategy? Live streaming is already a big part of our content strategy. We don’t think of it as a different type of content – it’s just a faster and very natural way of leveraging the power of digital video. ESL and DreamHack are already bringing live broadcasts to a range of platforms like Twitch, Hitbox and Azubu. In addition, Unicorn.me, which is Splay’s influencer app, offers a live streaming feature where talents can ping their followers’ phones and take content to their communities in real time. And of course, MTG’s streaming platform Viaplay offers the very best live sport events such as Premier League, UEFA Champions League, NHL and Formula 1. > How excited are you about Virtual Reality (VR) as a new digital format and where do you see it fitting into an entertainment creation strategy? During the 2016 Olympics, MTG became the first broadcaster in the Nordic region to bring viewers 360° VR action. ESL is already broadcasting some of the world’s biggest eSports events in VR, and 360° videos are, of course, super-hot on Zoomin.TV and Splay Networks, with Engage Sports Media picking up fast too. In the end, everything we do as a company comes back to storytelling. VR, live video and other new technologies let us reach our audience in a different way, and that’s what makes them so attractive. And our belief is that, in turn, they will help us stay attractive to our audience.